VATICAN CITY (CNS) — In an effort to help contemplative women religious renew their life and mission in the church and the world, Pope Francis issued a series of new rulings dealing with formation, assets, prayer life, authority and autonomy. The new rulings include a mandate that “initially, all monasteries are to be part of a federation” based on “an affinity of spirit and traditions” with the aim of facilitating formation and meeting needs through sharing assets and exchanging members. Monasteries voting for an exception from joining a federation will need Vatican approval. Titled “Vultum Dei Quaerere” (Seeking the face of God), the document focuses on the life of contemplative women religious. Dated June 29, the feast of Sts. Peter and Paul, it was released by the Vatican July 22, the feast of St. Mary Magdalene. The Vatican Congregation for Institutes of Consecrated Life and Societies of Apostolic Life is now charged with creating a new instruction to replace what had been the current — but now no longer in effect — “Verbi Sponsa” — the congregation’s 1999 instruction on contemplative life and cloistered nuns. Archbishop Jose Rodriguez Carballo, secretary of the congregation, told reporters July 22 that the new apostolic constitution is meant to fill the legislative gaps that have become apparent since Pope Pius XII’s apostolic constitution “Sponsa Christi,” issued 66 years ago. 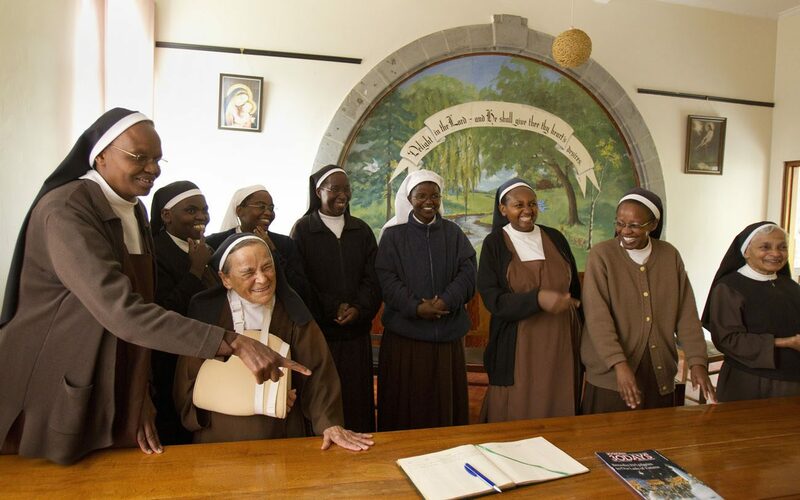 The bulk of the new document outlines 12 aspects of consecrated life that call for “discernment and renewed norms” in an effort to help contemplative women fulfill their specific vocation and “essential elements of contemplative life,” the pope wrote. The document also notes today’s pervasive “digital culture” and praises the potential of internet for formation and communication. However, the pope calls for “prudent discernment” in the use of new media so that they don’t lead women to “wasting time or escaping from the demands of fraternal life in community” or become harmful to one’s vocation or an obstacle to contemplative life. The pope praised contemplative women and expressed the church’s long-held esteem for men and women who chose to follow Christ “more closely” by dedicating their lives to him “with an undivided heart” and in a prophetic way. However, contemplative life can “meet with subtle temptations” — the most dangerous being: listlessness, falling into mere routine, lack of enthusiasm and hope, and “paralyzing lethargy,” he said. Archbishop Rodriguez explained the church is “not closing its doors” to its universal makeup, but that more thorough and careful discernment must be made by superiors and candidates in reflecting upon their reasons for entering monastic life. “Once one of the possible forms of cloister is chosen and approved, each monastery will take care to comply with, and live in accordance with, its demands,” the document said. The archbishop said no document on the life of contemplative men’s orders was in the works or being considered. Europe remains the continent with the highest numbers of contemplative women — more than 23,000, followed by the Americas with more than 8,000.